Assault on Tobruk is a simulation game of the successful assault by German and Italian forces in North Africa lead by Erwin Rommel on the Allied held fortress of Tobruk in the summer of 1942. 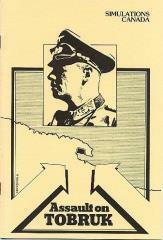 It has an historic scenario and six alternate scenarios covering the actual and potential events at Tobruk. 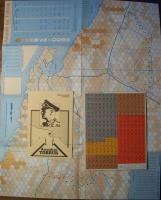 After choosing a scenario one player takes command of the Allied forces and the other player the Axis forces.